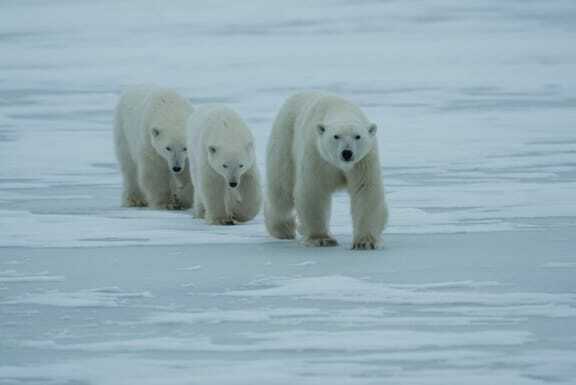 On October 26, World Wildlife Fund and Coca-Cola announced a historic partnership on the Arctic Home project, in which Coke will donate $2 million and match private donations of up to $1 million more to fund WWF’s efforts to conserve the polar bear’s precious Arctic habitat. 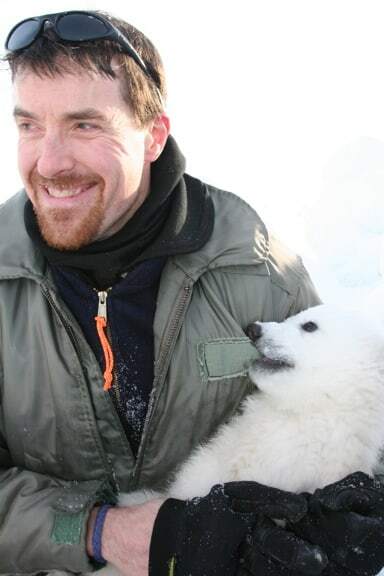 Geoff York, a polar bear biologist with 14 years of experience in the field, is spearheading the WWF’s efforts. 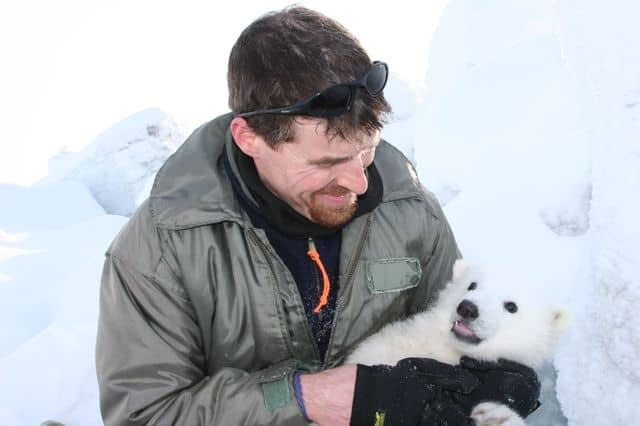 Last week York spoke with us about the day-to-day life of a polar bear field researcher, how global warming is impacting the Arctic ecosystem, and how the Arctic Home project can help turn things around. 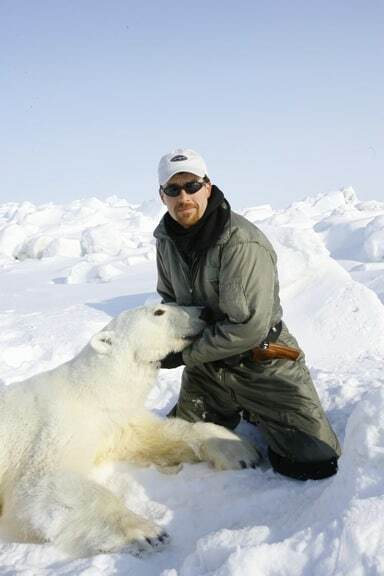 You spent 12 years in the field with the U.S. Geological Survey’s Polar Bears Project. Tell me about that experience. One thing that stands out is the changes I’ve seen in that 14-year period. When I first started with USGS, we had two field teams– one in the fall, one in the spring. We basically had to abandon our fall field season due to late-forming sea ice and ended up focusing all of our efforts on the springtime. Also, there were physical changes in the sea ice: We used to routinely encounter multi-year pans of ice 40-50 miles offshore and had stable ice conditions throughout the spring capture season, whereas now we don’t. We see younger, thinner, more active ice. Things like that have been interesting to see in such a short time. It must be frustrating when people deny climate change and ignore mankind’s role in these changes. It’s a frustration when you think of the potential risks, not just to the Arctic and polar bears, but to all of us if we don’t take reasonably rapid action. Coming from a science perspective, I appreciate healthy skepticism. It’s good to have debate. To me, the frustrating side of the climate argument is that it has turned more into [personal] beliefs. We need to get back to the data, agree on that and go from there. What is the day-to-day life of a field researcher like? We start off each morning with the most important thing: “What’s the weather like out there?” It’s a challenging environment to work in, as you don’t often have the best forecast information and weather off a shore full of sea ice is quite different from what you’d experience on shore. As field capture biologists, most of our days are spent in small helicopters. We usually have to get out to active ice 10 miles off shore before you get into good polar bear habitat. We look for areas where seals might be building under-snow lairs, and then we look for tracks of bears, typically flying at around 300 ft and going 70 knots. If we’re lucky we’ll find some relatively fresh tracks. Once we do, we make sure the area we’re in is safe. Are there inherent dangers in the tagging process? Once we get a dart set on a bear, we want to make sure that bear is safely on the ice. Bears in that situation tend to see water as a refuge from this stressful event. We try to do it as fast as we can. It typically takes 20 minutes to make a good dart placement and get the bear down, and it gives us a solid hour of work time. That bear will be down around 3 hours before it’s back on all fours, wondering what happened. We spend our days going from bear to bear, if we’re lucky. There are occasional days where you fly for 8 hours and see nothing, and those aren’t particularly fun days. But about 70% of my time is in front of a computer, entering data, writing reports, analysis, fundraising, you name it. What attracted you to working with World Wildlife Fund? Coming from a science-based background, I could see the need to be a bridge between the great research being done and public policy. WWF is the perfect organization for that, as far as its global reach and credibility. It was a tremendous opportunity to step it up, and a huge challenge to look at global conservation issues and manage our global polar bear portfolio. With WWF, there’s the opportunity to take information and do something with it; to shift into advocacy and try to push policy in the right direction. What are your biggest objectives with the WWF polar bear program? My biggest objective is to save the world, one polar bear at a time. And I mean that in the biggest sense in regards to the bigger threat of climate change. 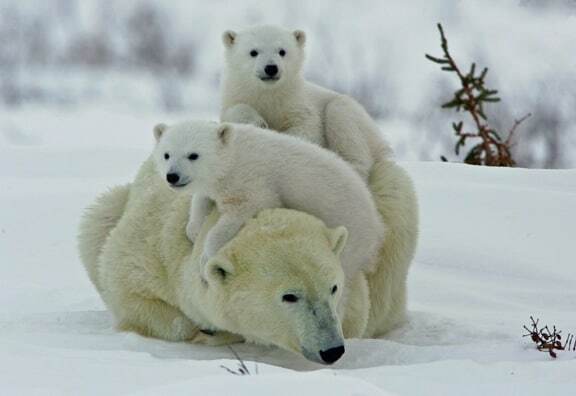 The role of the polar bear is really as a global messenger of climate impact. Talk to me about this partnership between WWF and Coca-Cola on the Arctic Home project. It combines the power and expertise of WWF with a partner whose global reach amplifies our own, allowing us to reach people around the world on issues that are important regarding polar bear conservation. It’s an exciting partnership, to say the least. We’ve been working with Coca-Cola globally on fresh water for some time. This shared effort with polar bears grew out of that, and links to Coca-Cola’s historic use of polar bears for their marketing efforts. It manifested a couple of years ago with a trip to Churchill, Manitoba we took with Muhtar Kent, CEO of Coca-Cola. He was able to experience polar bears in the wild, and it was a transformative moment. He made a commitment to ramp up Coke’s engagement on polar bears and with WWF. In an era where governments haven’t been able to take a lead on climate change, it’s pretty encouraging to see a global corporation step up to the plate. How will the money from Arctic Home benefit the polar bears? The funding is going to WWF’s polar bear’s conservation work, focusing on a new project we’re calling “The Last Ice Area.” Basically, it’s around 500,000 square miles in the high Canadian Arctic archipelago and northern Greenland– the area likely to have the sea ice ecosystem intact for the longest period of time. Historically, it’s been protected by its remoteness and heavy ice, but that’s projected to change dramatically between now and mid-century. We’re trying to start the discussions with governments and the local people who live there, the Inuits, about how this area should be managed given that change’s likely importance to species across the board, including polar bears, narwhal, beluga, walruses, etc. Polar bears are very much the face of Arctic Home, but it’s about the entire sea ice ecosystem. What role do you see ecotourism playing in Arctic conservation, and how you are working with the Inuit to ensure that this program works? Leadership from Inuit organizations and people is critical to the success we’re hoping to achieve. 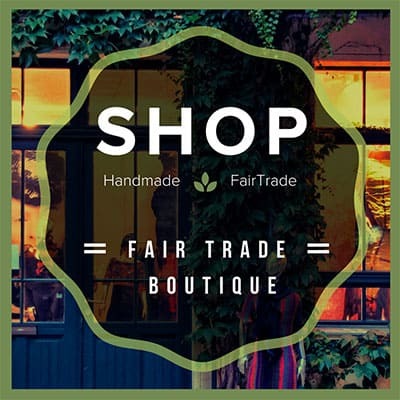 Part of that is making sure they can continue to live their traditional lifestyle and benefit economically, and a great way to do that is through ecotourism. While WWF is not an ecotourism business, we have partners that are, and it can clearly play a very positive role in conservation and providing an economic future to people who live adjacent to these amazing ecological areas. If we talk five years from now, how do you hope the Arctic situation will have changed?